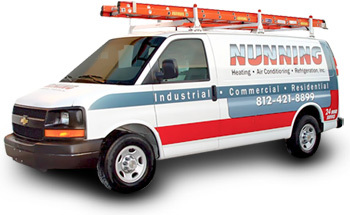 Since 1997, Nunning Heating, Air Conditioning & Refrigeration, Inc. has proudly served Evansville and surrounding areas, offering sales, service and installation of HVAC equipment for commercial, residential & industrial customers. Nunning also has divisions with factory trained technicians to service and repair all restaurant kitchen equipment and commercial refrigeration. Turn to Nunning and Carrier – Turn to the Experts!